If you've mastered the art of trimming hedges, trees and dead head roses and know how to form cut plants and bushes, we have just the tools for you. Fiskars SmartFit range of telescopic tools includes the original SmartFit pruner with its neatly extendable jaws for cutting thinner and thicker branches. In addition to this, the SmartFit range now includes a tree lopper and a pair of hedge shears with a handy extension feature, allowing you easily cut both high and low. 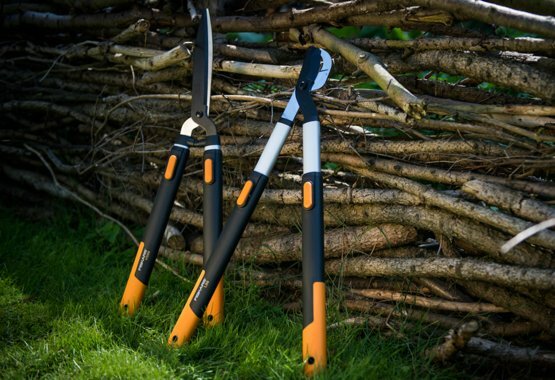 Fiskars SmartFit™ range is a handy addition to anyone’s garden shed. The tools maximize comfort with right tool length for user and task.